The other day it was hot and my kids got bored, a glimpse of summer :) They were begging to watch YouTube and play on the the iPad (uggh!). This got me thinking...about summer and the endless hours of free time at home while the baby will be (hopefully) napping. On one hand, I'm all for kids being bored. But I do think it's too much to ask them to "figure it out" for hours on end. Setting a little inspiration before them can go a long, long way. This is sort of a recent revelation for me. As my kids get older, they have more of their own agendas and expectations. I'm learning that those agendas need to be carefully managed. I need to lead them, guide them, provide ideas for them - "run" their life so they don't run mine. Serve them strawberries so they don't raid the freezer for ice cream, literally and metaphorically. This takes energy and planning on the part of the parent. It's hard. When they were full of complaints on this particular Sunday afternoon, I pulled out a new pack of beads and some Legos. I held firm. No YouTube. No iPad. They got lost in their creations. As I prepare for the summer, I'm filing away ideas of things to do. Simple things. But I have a feeling that my attitude is my biggest challenge. What supplies/materials do you provide for your kids to keep them busy? ha, I feel your pain! I try to structure the days a little bit - mornings in the summer are for their chores: folding laundry, practicing piano, and one job that I assign based on things that need to be done around the house. We go to the library one morning a week. I try to take them to the pool or on a playdate at least once a week. We offer to send them to camp - Ben is doing it, Genevieve is not a fan, so I reminded her that she will be home a lot this summer. I'm a big fan of weekly library trips. In your case, having a toddler, a trip to the library might be more trouble than it's worth, but do try to keep the library basket full of fresh and interesting books. We always have "reading hour" on summer days, usually after lunch. This has looked different over the years as my children have gotten older and grown in their ability to read. I am a huge believer in reading chapter books aloud to children, even to older children, so we do that some days. Other days everyone reads independently or I'll read with one or two while that other(s) read on their own. If I need space and quiet then I send everyone off to separate rooms to read or play independently. Last summer I challenged my boys, then ages 10 and 13, to read a book a week and they rose to the challenge! So there's my take on summer reading. 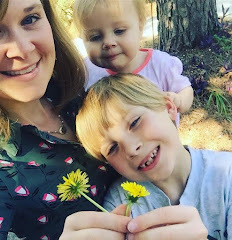 I think you're right about our attitudes being the biggest challenge when it comes to handling summer boredom yet also intentionally equipping ourselves to guide our children through it. I like Margo's loose structure. Summer is a great time to work on home-life skills (cooking, cleaning, laundry) at an age appropriate level. Loved this post and reading the comments of others' ideas! My oldest is in Kindergarten & our youngest is a baby who will (hopefully) be napping this summer too--thank you for the inspiration! IKEA along with about 8 $1 clear plastic lidded boxes. We painstakingly sorted through all of our toys and grouped them accordingly. All of these bins and boxes reside in a single closet. (So we have no toys floating about the house.) We try to pull out one at a time...and we often have "quiet rest time" where my readers read for an hour and my Little's play quietly with one of those tubs or boxes while in their respective room. I've found keeping the toys, blocks, etc away and out of reach keeps them fresh each time they are pulled out. We keep a "read aloud" going...and always lots of craft supplies on hand. And when the inevitable whine of "we're bored" surfaces, I sweetly offer chores and they typically quickly find something fun to do. Also, as mine have gotten older, they are now riding their bikes in our neighborhood-and it's been so fun and helpful to have them "run errands" for me...they'll purchase fresh eggs from a neighbor a half mile away and run a note to another neighbor, return a book here or there, etc. Thanks for reminding us all that we are not alone on this parenting journey! Navigating children and summer days, etc.